Loveseat only. Snug Harbor collection on sale. Call for specials. The St Thomas dining and deep seating outdoor furniture collection will add a decorative touch to your outdoor living space. 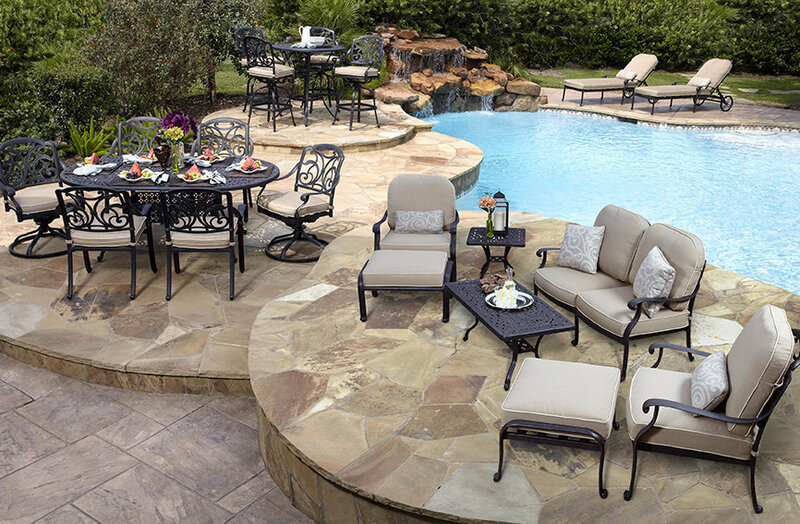 The ornate trellis cast aluminum seat back design is a modern classic. Available dining complements from the San Marino collection will complete your patio furniture set. The deep seating pieces feature inviting, oversized cushions covered with all-weather, easy to clean & fade resistant outdoor fabric. St. Thomas is a versatile, elegant collection that is built to last.